First session is Friday night 6-8pm. Second session is Saturday 11am-3pm. "I'm proud to announce that Teamhk Jiu-Jitsu is now the 1st and ONLY Certified Training Center in Hawaii under the Gracie Jiu-Jitsu Academy, CA. Today marks 12 years since Relson Gracie Jiu-Jitsu Team HK has been operating out of the International Karate Federation Dojo. 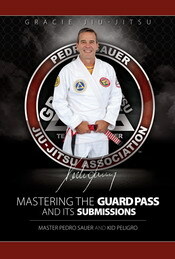 So I want to thank the following people for making this possible: the Kotaka Family for being so generous over the years and allowing us to train there, my master Relson Gracie for mentoring me and providing me with a trade and lifestyle that allows me to live, Rener Gracie for teaching this old dog new tricks, and everyone who has been part of this Team whether or not you still train here or not. You all have played a HUGE part at one time or another. Thank you! — feeling awesome with"